Rich chocolate cake filled with our signature vanilla cream. Is there any way to quantify a chocolate cake? In this case, yes! Our chocolate cakes are made with Bensdorp chocolate from Holland. You throw in some butter and cream cheese to heighten the richness and you are on your way to the races. Of course there is some sugar in the mix but not so much that it disturbs the smooth, rich, deep chocolatey goodness from the Bensdorp. It's brownie-ish with a slight crunch on the surface but totally cakey inside. The deep chocolate flavor is the big show here. The filling is just as important as the cake. The cream is mostly butter, totally whipped up with our own marshmallow. We also use a vanilla paste that is thick like honey and chock full of vanilla beans. 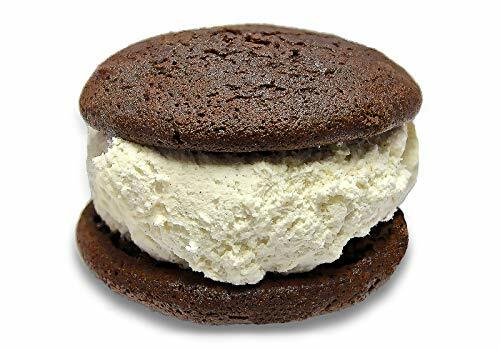 We call this delight THE MAINE-IAC largely because Maine had the brilliance to name whoopie pies their state treat! 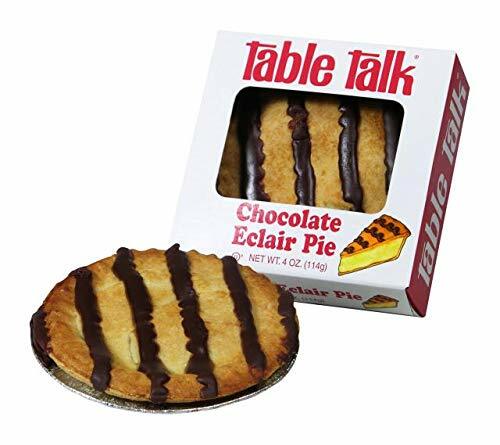 It sounds so simple, chocolate cake with vanilla filling, but believe me, this is a flavor combination that speaks to your soul. You won't be disappointed! Every shipment comes in a beautiful brown bakery gift box with tissue paper and ribbon. Its always gift wrapped! 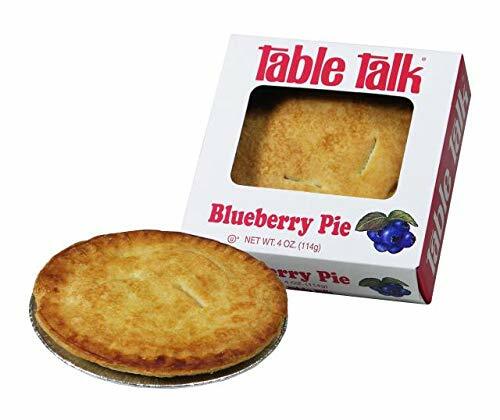 Your favorite pies with the same great taste and ingredients baked in a convenient 4″ size for single serve snacks. 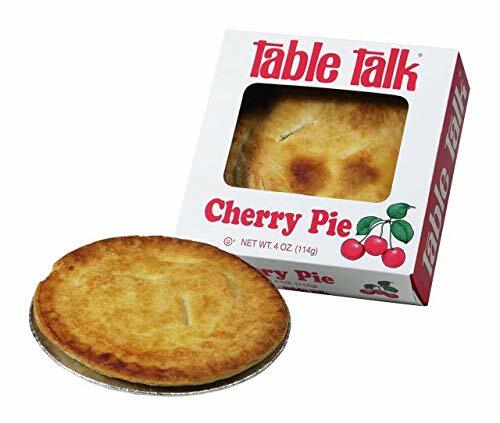 Since 1924, Table Talk Pies has been offering every neighborhood, big or small their pies. Chocolate chip cake filled with our signature vanilla cream. If you thought whoopie pies were a girly treat, you are oh so wrong. This one is totally a stand up guy! We have a luscious chocolate chip cake with our amazing vanilla cream filling. The cake is first, our vanilla cake flavored with our spectacular Madagascar vanilla paste, then its chock full of chocolate chips to send you over the top and into overdrive. The vanilla cream filling is also full of vanilla beans you can see swirling around. It's the standby crew for the cake that is truly the main event, here. 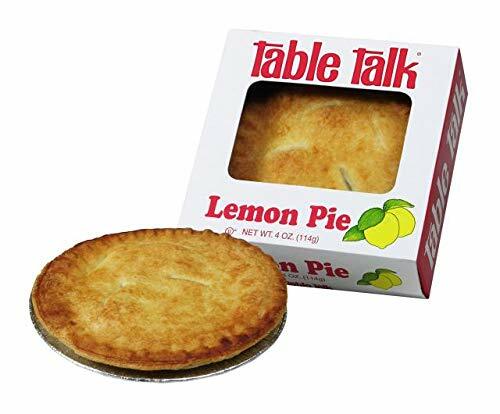 Any guy anywhere will love this flavor as it's the combination that drives your taste buds. It's a chocolate chip cookie and an ice cream sundae all rolled into one creamy delight with your guy in mind. By the way girls love it, too. Every shipment comes in a beautiful brown bakery gift box, with tissue and ribbon, its always gift wrapped! Decadant red velvet cake filled with our signature vanilla cream. Who knew that Red Velvet would be such a popular flavor? Its half chocolate and half vanilla and lots of red, just for fun! We love this one and always feel like a party is about to spontaneously combust! When figuring out what the cream filling would be we just knew that Red Velvet cakes were so sure of themselves that not just any cream could stand up next to them. We came up with a match made in heaven...our vanilla cream filling will do the trick quite nicely. For our Canadian friends, we just LOVE the red and white together! The only thing that could make this flavor better is if we could emboss them with a maple leaf! The vanilla cream filling is lush and buttery rich with so many vanilla beans it would be impossible to count! When we put these two components together we know we were on the right track! Every shipment comes in a beautiful brown bakery gift box with tissue paper and ribbon. Its always gift wrapped!